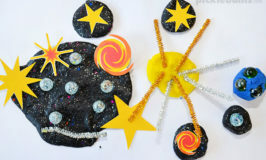 I’d love to run story time activities at the library – printable puppets for every book! I’d love to be a window dresser and create amazingly cool and creative window displays for funky shops. And I’d love to be a wrapping paper designer. There is just something about putting together colours and images and creating fun repeating patterns that I really like. And how cool would it be to see your designs on huge rolls of wrapping paper, and on piles of presents under the Christmas tree! Sadly for me, the closest I’ll come to that dream job is designing some fun printable Christmas wrapping paper for you! This year I got all wordy and combined a few fun Christmas phrases with some cute little Christmas icons and bright colours. Printing m onto A4 sheets of paper isn’t quite as cool as seeing your design on bug rolls of paper (how cool would it be to have a printer that printed on HUGE sheets!!! 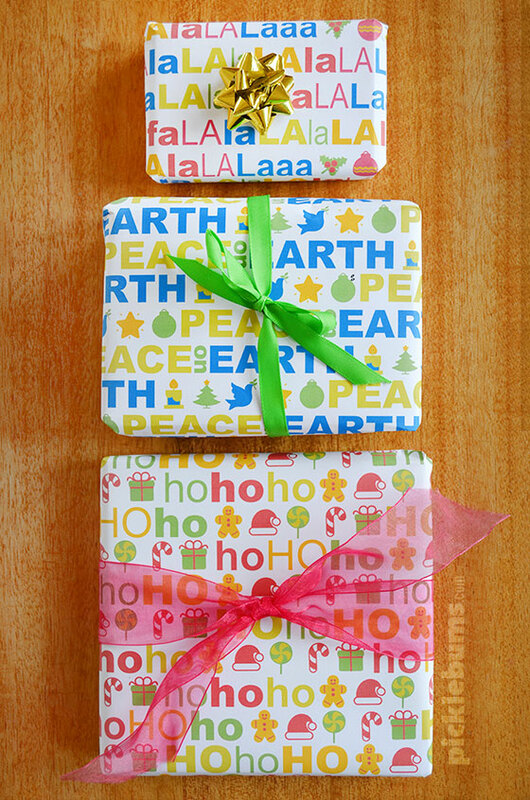 ), but it satisfies my creative urges and makes some fun gift wrap for a few little presents. 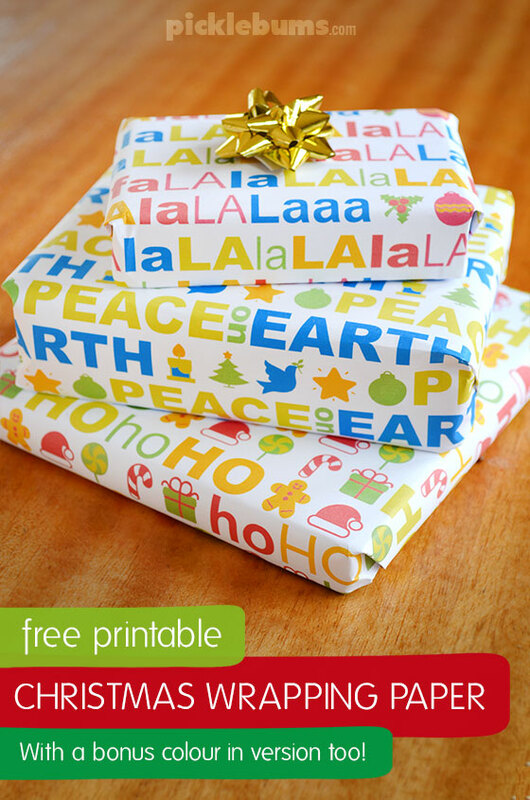 You can download the coloured version of the wordy printable Christmas wrapping paper here. 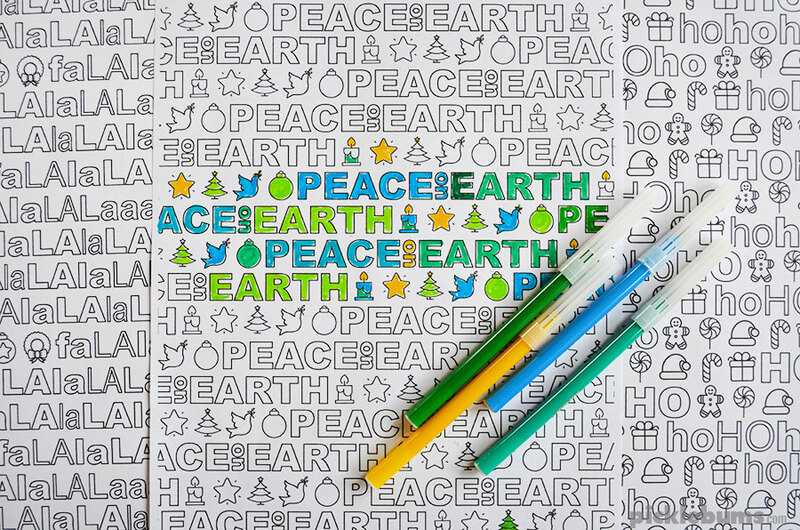 Of course these fun wrapping paper designs also make great colouring in sheets! So if you need a little relaxation in between wrapping presents, or if you need to occupy your kids while you sneak away to wrap some secret gifts, you can print this wrapping paper in a black and white colour in version. 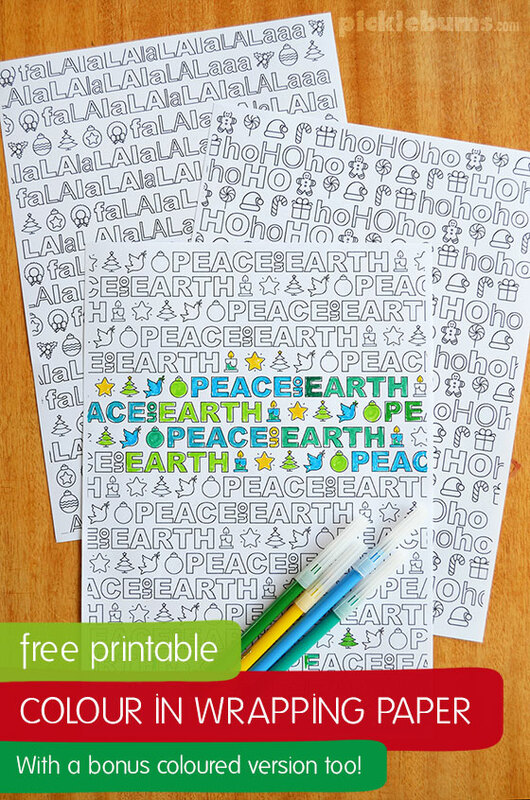 You can download the colour-in version of wordy printable Christmas wrapping paper here. So I may never get to be a story time librarian, or a window dresser, and I may never see my funny wrapping paper designs on a big roll… but I had loads of fun making this Christmas wrapping paper and lots of fun colouring it in with my kids too. Is there a job you’d love to have but you probably never will? 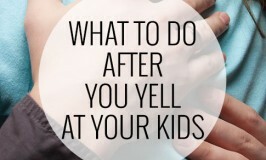 Leave me a comment below and tell me about it! Spoonflower! Expensive but so much fun. Oh I am so tempted by spoonflower! I could design my own material too!!! Thank You very much!!! I have been searching for something to put on these plain white gift bags I bought for a Christmas craft for our Breakfast with St. Nick sponsored by the Boy Scouts and now all I need to do is figure out a way to get these on the bags! If I can’t think of anything else the kids can always color the pages and tape the colored pages on the bag. Anyone have any suggestions?